If you've played many competitive multiplayer shooters, then you've likely spent far too much time celebrating – or, indeed, lamenting – your kill death ratio. Long has this little number been seen as a barometer of your success in online battles, and this in turn helped feed a steady stream of gamers into the Team Deathmatch grinder, while turning off more casual players. Coming to the end of match only to find yourself consistently propping up the scoreboard is really demotivating, and Overwatch – Blizzard's first foray into the shooter genre – wants to try and avoid this by giving gamers a competitive shooter that's extremely accessible, while still having enough tactical depth for those who want it. On paper, Overwatch seems a little regressive. Rather than sporting a complex levelling and unlock system or a wide variety of game modes, it focuses purely on six-versus-six objectives-based matches, and instead hangs its hat on an interesting roster of 21 characters, as well as some really smart game design. Now, you could be forgiven for thinking that Overwatch is a MOBA, especially if you looked purely at its character line-up and their skill sets, but in reality it's a straight-up shooter, which has way more in common with a title like Team Fortress 2 than any MOBA. 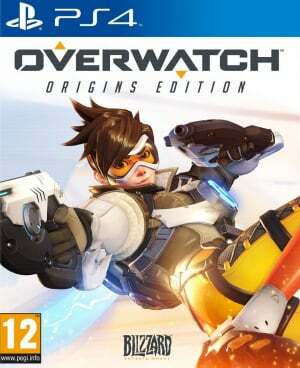 Overwatch also has some similarities to Team Fortress in terms of its art style, with vibrant comic book-esque characters, and colourful renderings of future Earth locations for each of its twelve multiplayer maps. A focus on these sort of stylised visuals – that're less demanding on any system – has worked really well for Blizzard in the past, and once again it does here. Not only does it look great, but it also runs at a consistent 60 frames-per-second, meaning the game is always ultra-responsive even when the action on screen is at its most hectic. Even though the visual design is a standout, the shining stars in Overwatch are without a doubt its heroes, not to mention their wonderfully varied weapons and abilities. With each character falling into one of four categories – offence, defence, tank and support – they each have a role to play on a team, and whether you like fighting from afar, mixing it up in the middle of the fray, or healing your teammates, each feels very different from one another, and what's more, there's not a single dud amongst them. With all of the characters available right from the start, it feels odd not to have to slowly unlock them – especially given the prevalence of progression systems in pretty much every game genre these days. The obsessive collectors out there shouldn't worry, though, as there are still roughly 50 cosmetic unlocks for each character – such as skins, voice lines, and victory poses – which can be collected by opening loot boxes awarded each time that you level up. If you're the sort of person with more money than sense, you can also buy these boxes with your hard earned real-world cash, and while the box opening animation is appropriately exciting, it doesn't make up for the fact the random contents might leave you without anything decent despite your investment. During your first matches, you'll feel the urge to play the same character repeatedly so you can get a feel for their own particular weapons and abilities – especially since the game doesn't really teach you how to play each character. It won't take long before you realise that this isn't actually what Overwatch wants you to do, as not only do different characters tend to work well in specific situations, but they can also counter each other beautifully. Has Tracer been harassing your team using her teleporting abilities? Break out Mei and use her ice beam to stop her time travelling antics. Is Torbjorn's deployable turret making your life hell? 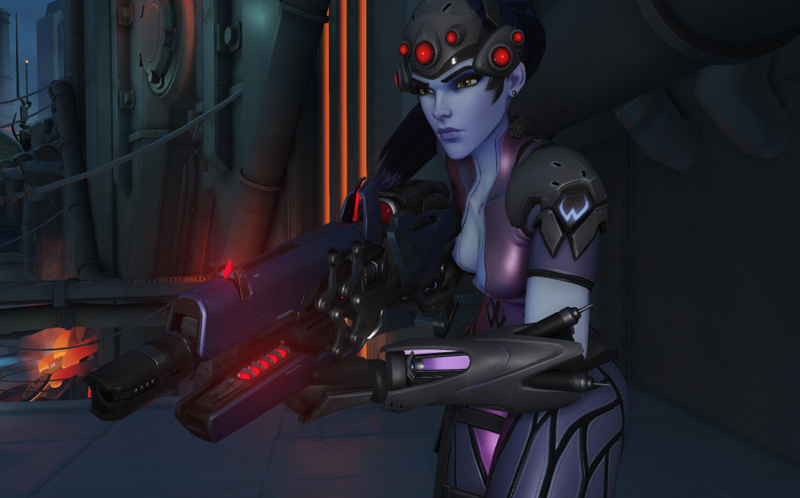 Call up Widowmaker and use her rifle to destroy it while well out of range. The sooner you realise that the character select screen is an armoury packed with weapons at your disposal – and you can switch to any character each time you respawn – you'll enjoy much more success in those situations where your opponents aren't giving you an inch. 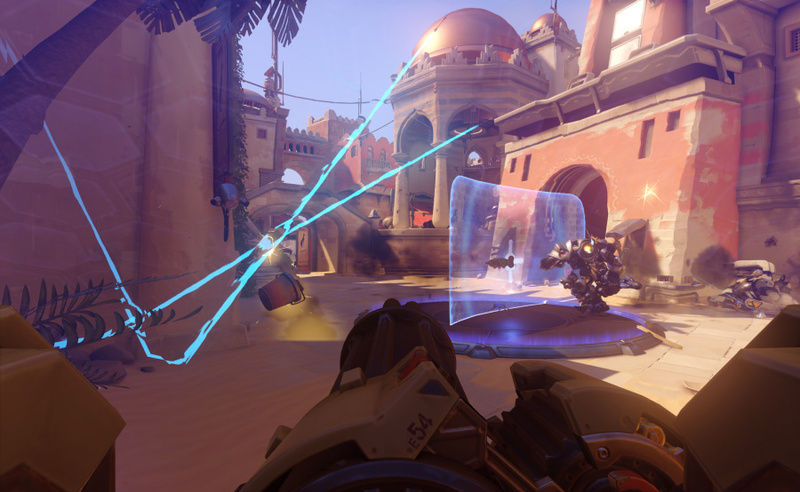 The interplay between the characters is what ultimately make Overwatch's matches so much fun, and with each one lasting less than ten minutes, it's not only the perfect game to pick up and play when you have a bit of spare time, but it also offers ample opportunity to try out new strategies – especially if you're playing in a coordinated group. Another nifty aspect of Overwatch is how the game is always giving you positive feedback as a player. Kills and assists have been forgone in favour eliminations, whereby even if you do a small amount of damage to an opponent, you get credit when they eventually get taken down. In addition, there's no scoreboard showing where you rank in your team. Instead, at the end of each match, the game highlights four players taken from either team, pointing out some statistical titbit that celebrates their positive contribution. The crowning glory of this approach, though, is the play of the game video that runs after each match, and should you be fortunate to be recognised in this clip, you can't help but feel extremely pleased with yourself. 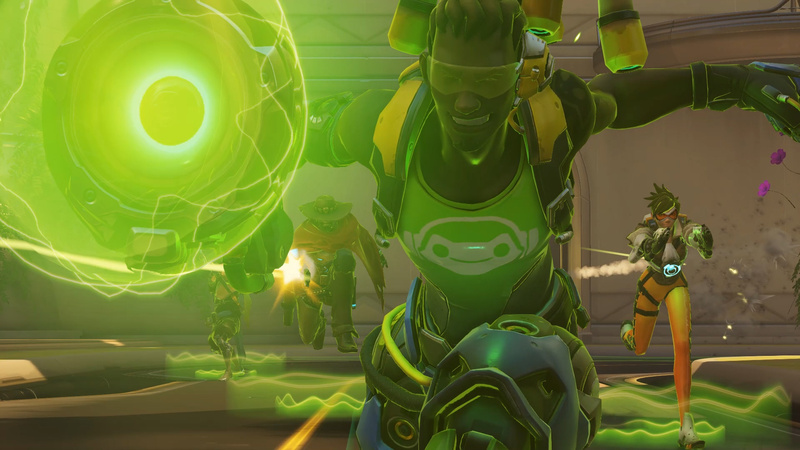 While playing Overwatch is an overwhelmingly positive experience, there are the odd disappointments. Chief among these is the price of admission versus the content on offer. With only four game types, and no real single player component, there's not a huge amount here – especially since a planned ranked mode didn't make it into the initial release (it's due out at some point in June). 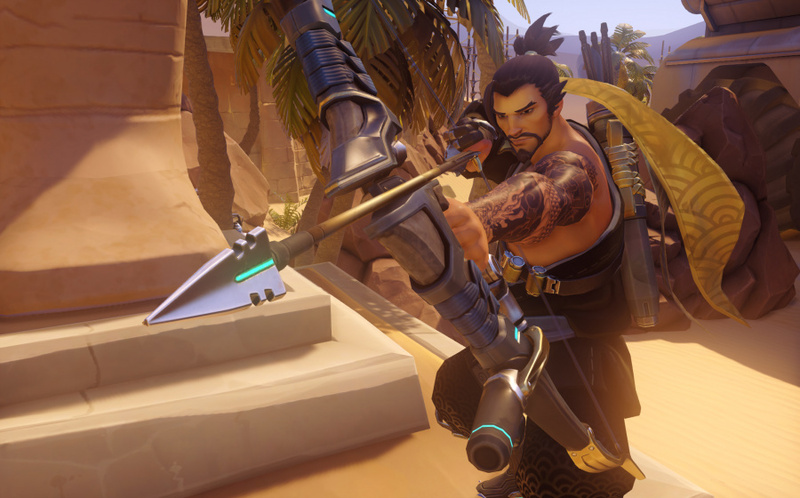 While the game ultimately makes up for this shortcoming in many other areas, the longevity of Overwatch will rest firmly on Blizzard's post-release plans, and while interviews have suggested that any new content drops will be free in the future, there are no concrete plans as to what these will look like at this moment in time – though Blizzard historically has a good track record for supporting its titles. Blizzard has never been a genre trailblazer when it comes to the games that it develops, but when it does arrive fashionably late on the scene, you can be fairly certain that it's going to deliver something special. With Overwatch, the studio has delivered once again, splicing the heroes of a MOBA straight into a team-based shooter, and while the asking price may feel a little steep at first, it's the selection of characters – that are easy to learn, but difficult to master – as well as its positive recognition system that'll undoubtedly win you over. Not like some "hallelujah" blabber you can see on the internet. And although it stays a 11 to me, i think 8,5/9 is the score this game objectively deserves. For the content naysayers, i'd say that you should see this as playing a sport with your friends at the small camp downtown. The rules are always the same, but each game is fun. You can't possibly give this game a 10/10 as a reviewer, but as a player you can't imagine giving a score lower than a perfect one. Good review. I hope we can expect more colors from future online shooters. I don't think I'll need another online shooter apart from Splatoon this gen, but if I do feel the need to branch out, I think Overwatch will be my go-to game. this game is identical to TF2, only with a lot less content and it's full price instead of free. so yeah, I stick with TF2. can't really understand the hype for this game that basically is 10 years old. they even made shorts for the characters just like valve did 10 years ago lol. they even use the same terminology in-game (contested, payload, etc.). I guess it's valve's fault for not delivering a TF3. If they had done that, this game wouldn't even exist. I feel like Overwatch is more suited to PC playing than PS4 playing because of the precise aiming the player needs to do. A mouse is just better suited for it than a controller. @wariowarewolf: indeed. It doesn't make it any less fun to play though. Unless you try PC and then go back, 'cause in that case ofc you'd feel the limits of a joypad. Yeah, I would be all over this if it wasn't for DOOM,...........granted, despite the general differences, I'm sure Overwatch provides the superior online multiplayer experience,.........but the atmosphere and gameplay of DOOM is more up my alley. Hmm,well i watched some gameplay videos and it doesn't look very fun to me..But then i didn't like TF2 so..i'll stick with Doom for pvp for now thanks.Easy pass..Sorry internet. I like how each hero feels different than the rest and this is something that adds a lot of replay value for me. I like how you can go all out with an offence hero, or stay back an heal with a support. As for the lack of content for its price, I don't think it really matters. Value should be measure by the hours of fun you get from a game. Why a single play only game that last 10-13 hours, is okay to be sold for 60 euros and a multiplay game is not ? Great review Alex, I really want this game. Is Game or Grainger games open on a bank holiday? Terrific review. While yeah it may seem lite on content now I don't think that will be a problem for too long. Blizzard has a great track record when it comes to supporting games for a long time, just look at World of Warcraft for example. Great review! Still did not touch the game but from this text I'm totally understanding the draw. Actually, @SkanetWasTaken, I don't think that the "mouse and keyboard was better since... " is correct especially for single player FPS games. Game design has changed so much to take into account that people are mostly playing with controllers. You can see how enemies are placed and how the levels are designed. Everything is in function of forward looking, forward moving gameplay. Of course, @wariowarewolf is right as this is still the case with MP FPS because, there, enemies still come from every which way/angle. I would definitely rather play Overwatch on my PC than on the PS4, but, on the other hand there's that couch potato in me that refuses to sit up straight at my desk and would rather go horizontal with the ps4 controller in hand (oh, yeah, there's also that butter smooth 60 FPS on PS4 "out of the box" thingy). Have they made any changes to the characters since the Beta? @Flaming_Kaiser no. why? I've played the beta extensively and that was the full game afaik. @themcnoisy I'd imagine that GAME would be open on bank holidays. I did a complete U-turn on this game. I wasn't interested in the slightest. I hadn't really done any research into what it was, and constantly got it mixed up with Battleborn in my head. Obviously, it's not really like Battleborn at all, and when the rave reviews came out and my Twitter feed was filled with glowing impressions, I decided to give Overwatch a look. Very tempted on trying this one, even at full price. U4 mp isnt that enjoyable anymore, I wonder if I will prefer this one. I wasn't a fan of the beta, so I'll pass. I'm also pretty disappointed that they wasted the character's story potential. @xMEADx I was saying exactly the same thing about Torbjorn last night! I wouldn't be surprised to see his turrets get nerfed in the next patch.That said, maybe the strategy for dealing with a team packed with Torbjorns hasn't been found yet. After all it seems like everyone worked out how to deal with Bastion. @wariowarewolf The aiming sure is better on PC...but the movement/ability usage is way worse. I just bought it for PS4 because after trying it on PC I couldn't move as I wanted to. But yeah, it takes a while trying to figure aim sensitivity on PS4...I think I didn't find the optimal point for me yet. The problem is there's no button to slow down aim when you need it, since you can't aim down sights (besides Widowmaker). I have this on PC and I kind of regret it. As much as the mouse is more accurate for aiming, you're also using a whole hand rather than just a thumb. What certainly isn't better is WASD movement. Here you're using 3 fingers and 4 buttons to control just 2 legs. That is objectively bad, especially when it's only digital movement in 8 directions rather than analogue in 360 degrees of movement. I can manage it in games like CSGO but this so so much faster, more frantic and chaotic. Considering I've played CSGO and TF2 on PC, as well as various other PC FPS over the years, this is the most frustrating online experience I've ever had. It's far too busy and frenetic, I usually die to stray grenades or explosions of unknown origin. My time is mainly spent running back to the battle from the repspawn point only to instantly die to God knows what. The tutorial is horrendous, starting out with the pointlessly simplistic "how to move" but then not really going any further. There are even inconsistencies to the character reference sheet movelist thing, like how Tracer's L-shift dash can also be done with right-clicking but it doesn't mention that, nor is this the case for any other L-shift ability that I've encountered. Anyway, long story short, I was expecting this fun and pick-up-and-playable FPS, like Mario Kart is to the racing genre, yet I got something confusing and impenetrable where it's the same old story that you die within a second of an enemy seeing you. And of course, people of my skill level are going to experience the same thing and stop playing so it'll just be me wading into neon clouds of instant death and feeling totally powerless. I would consider buying this game but not until they nerf some of the characters. @AlexStinton Widowmaker is Torbjorn's counter. If she gets in the right position she can pick off his turrets with her sniper rifle. Also I have had people take out my turrets quite quickly with Junkrat's grenade launcher especially if they can bank them. @dryrain If anything character changes will come next month when they add rank play. I know this is a long shot, but is there any kind of local split screen? I'm not talking it's own mode - is there a way two players can go online on the same screen? The game is great fun, but with any game with such limited content should never be getting a 9 score to me. MOBA's in general are quite shallow, but this in particular is like releasing a COD/BF game and limiting the number of maps, players and game modes. There would be outrage if that happened on those games! It's great fun to play though, just needs to practically double the maps, characters and game modes to be a plausible full price title for me. @morrisseymuse Agreed if this was by EA everyone would be banging on about it having no single player and that EA turned them into a newt... etc , will give it a go in 6 months or so when it'll no doubt have more content and be £25, it sounds really good fun. Torbjorn is viciously OP. I just went 44 and 2 with him, including a 27 kill streak! There is no way you are getting a 27 kill streak with Tracer or McCree.__. 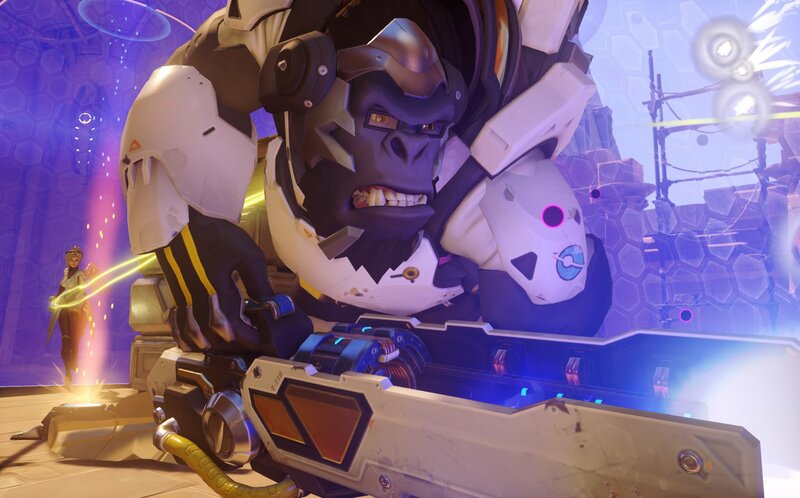 I stopped playing Uncharted 4 halfway through to play Overwatch. I think that says it all. (Don't worry Drake, I'll be back eventually). It only seems to be an issue on certain parts of specific maps where there aren't any long range sight lines for Widowmaker to do her thing. @AlexStinton Genji is also great against turrets, his bullet deflection skill destroys bastion and torbjorn's turrets if timed right. @Bazza78 Yeah, Genji is bloody brilliant. There's nothing sweeter than bating a Bastion into unloading at you, and then sending it right back at them. Any of you guys having trouble with McCree's ultimate ? Maybe i'm timing it wrong but i just cant seem to nail multi kills with it. It seems inconsistent and a little bit broken to me. @MinerWilly Lol yeah! I can't deny the beta I played was vastly more fun than Battlefront has ever been for me though and I'm still tempted by it. I'm gonna try resist the urge to get it til it's on sale though and at least DLC has been released. @Bazza78 It's difficult, the most I've gotten was 3.5 kills with it - the 0.5 was D.Va 's mech so it didn't count as a kill. I want to play this so badly, but I just don't like the online shooters. It's the one genre that I'm really not any good at. I consider myself to be above average in skill with pretty much any game out there, but for some reason first person shooters are just not my thing. Even with Splatoon, if I wasn't playing every single day I would get obliterated the next time I fired it up. Great game, a lot of hero's with very great and cool abilities , great maps ( only a couple i don't like) .